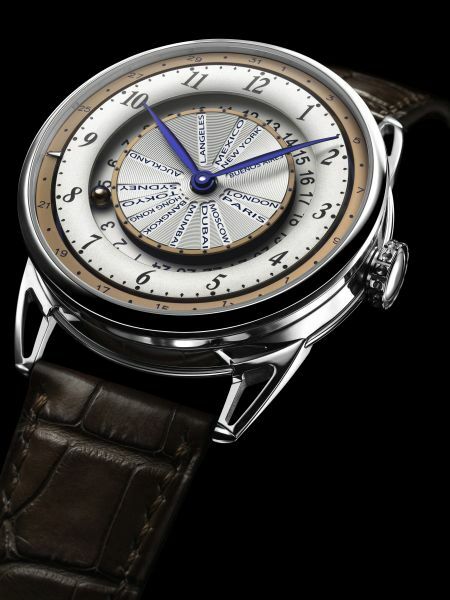 Nothing is ever quite what it seems with a De Bethune, and indeed, none of its watches look like anything from any other. 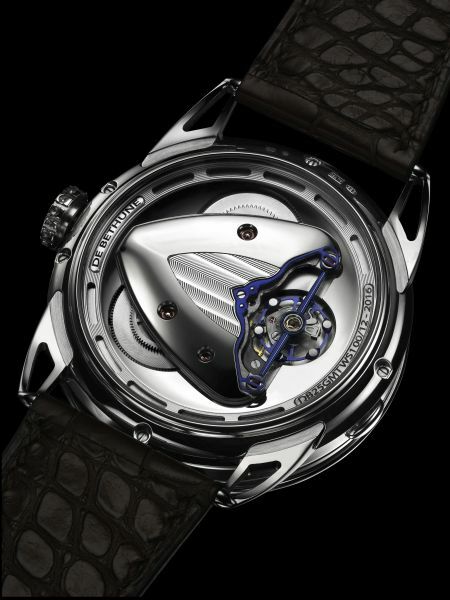 That’s De Bethune’s innovation, both in the aesthetics, which is very classical, and cutting-edge modern at the same time; as well as in the engineering of it exquisite movements. As one has come to expect of De Bethune, the staple multiple time zone watch has been reinterpreted to an unrecognisable yet intuitive degree. Local time is pointed out by the central leaf shaped hands, and that in the various cities is read in a radial format, with reference home time indicated by a bicoloured sphere that inhabits its own groove. Reminiscent of the spherical moon phases seen in de Bethune’s other watches, the sphere is bi-coloured, pivot at the 6am/6pm mark to show red gold side for day, and blue for night. 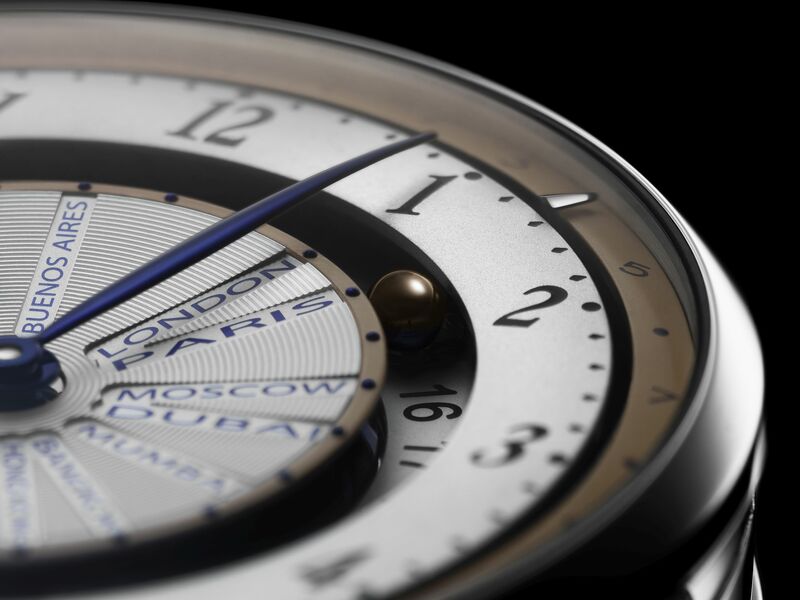 Manual wind movement with five days’ power reserve, in 45mm white gold case.